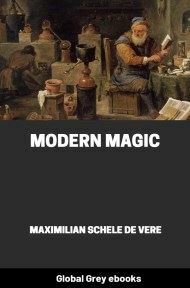 The Magus, or Celestial Intelligencer; being a Complete System of Occult Philosophy is a handbook of the occult and ceremonial magic. This is Book 2 of 2. 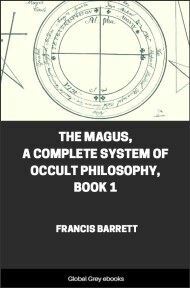 Few people, even today, know that The Magus is a compilation, almost entirely consisting of selections from Cornelius Agrippa's Three Books of Occult Philosophy, the Fourth Book of Occult Philosophy attributed to Agrippa and the Robert Turner's 1655 translation of the Heptameron of Peter of Abano. 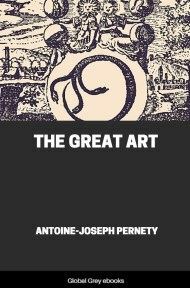 Barrett made a few modifications and modernized the spelling and syntax of these selections. 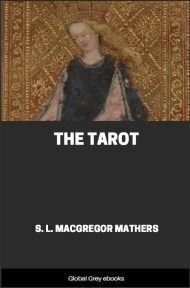 It deals with the natural magic of herbs and stones, magnetism, talismanic magic, alchemy, numerology, the elements, and biographies of famous adepts from history. AS concerning an action locally at a distance, wines do suggest a demonstration unto us: for, every kind of wine, although it be bred out of co-bordering provinces, and likewise more timely blossoming elsewhere, yet it is troubled while our country vine flowereth; neither doth such a disturbance cease as long as the flower shall not fall off from our vine; which thing surely happens, either from a common motive-cause of the vine and wine, or from a particular disposition of the vine, the which indeed troubles the wine, and doth shake it up and down with a confused tempest: or likewise, because the wine itself doth thus trouble itself of its own free accord, by reason of the flowers of the vine: of both the which latter, if there be a fore-touched conformity, consent, co-grieving, or congratulation; at least, that cannot but be done by an action at a distance: to wit, if the wine be troubled in a cellar under ground, whereunto no vine perhaps is near for some miles, neither is there any discourse of the air under the earth, with the flower of the absent vine; but, if they will accuse a common cause for such an effect, they must either run back to the stars, which cannot be controuled by our pleasures and liberties of boldness; or, I say, we return to a confession of an action at a distance: to wit, that some one and the same, and as yet unknown spirit, the mover, doth govern the absent wine, and the vine which is at a far distance, and makes them to talk and suffer together. But, as to what concerns the power of the stars, I am unwilling, as neither dare I, according to my own liberty, to extend the forces, powers, or bounds of the stars beyond or besides the authority of the sacred text, which faith (it being pronounced from a divine testimony) that the stars shall be unto us for signs, seasons, days, and years: by which rule, a power is never attributed to the stars, that wine bred in a foreign soil, and brought unto us from far, doth disturb, move, or render itself confused: for, the vine had at some time received a power of encreasing and multiplying itself before the stars were born: and vegetables were before the stars, and the imagined influx of these: wherefore also, they cannot be things conjoined in essence, one whereof could consist without the other. Yea, the vine in some places flowereth more timely; and, in rainy, or the more cold years, our vine flowereth more slowly, whose flower and stages of flourishing the wine doth, notwithstanding, imitate; and so neither doth it respect the stars, that it should disturb itself at their beck. In the next place, neither doth the wine hearken unto the flourishing or blossoming of any kind of capers, but of the wine alone: and therefore we must not flee unto an universal cause, the general or universal ruling air of worldly successive change; to wit, we may rather run back unto impossibilities and absurdities, than unto the most near commerces of resemblance and unity, although hitherto unpassable by the schools. 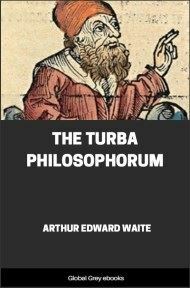 Moreover, that thing doth as yet far more manifestly appear in ale or beer: when, in times past, our ancestors had seen that of barley, after whatsoever manner it was boiled, nothing but an empty ptisana or barley-broth, or also a pulp, was cooked; they meditated, that the barley first ought to bud (which then they called malt) and next, they nakedly boiled their ales, imitating wines: wherein, first of all, some remarkable things do meet in one; to wit, there is stirred up in barley, a vegetable bud, the which when the barley is dried, doth afterwards die, and loseth the hope of growing, and so much the more by its changing into meal, and afterwards by an after-boiling, it despairs of a growing virtue; yet these things nothing hindering, it retains the winey and intoxicating spirit of aqua vitæ, the which notwithstanding it doth not yet actually possess: but at length, in number of days, it attaineth it by virtue of a ferment: to wit, in the one only bosom of one grain one only spirit is made famous with diverse powers, and one power is gelded, another being left: which thing indeed, doth as yet more wonderfully shine forth; when as the ale or beer of malt disturbs itself while the barley flowereth, no otherwise than as wine is elsewhere wont to do: and so a power at a far absent distance is from hence plain to be seen: for truly there are cities from whom pleasant meadows do expel the growing of barley for many miles, and by so much the more powerfully do ales prove their agreement with the absent flowering barley; in as much as the gelding of their power hath withdrawn the hopes of budding and increasing: and at length the aqua vitae being detained and shut up within the ale, hogshead, and prison of the cellar, cannot with the safety of the ale or beer wandering for some leagues unto the flowering ear of barley, that thereby, as a stormy retainer, it may trouble the remaining ale with much confusion. Certainly there is a far more quiet passage for a magnetical or attractive agreement among some agents at a far distance from each other, than there is to dream an aqua vitæ wandering out of the ale of a cellar, unto the flowering barley, and from thence to return unto the former receptacles of its pen-case, and ale: But the sign imprinted by the appetite of a woman great with child, on her young, doth fitly, and alike clearly confirm a magnetism or attractive faculty and its operation at a distance: to wit, let there be a woman great with child, which desires another cherry, let her but touch her forehead or any other place with her finger; without doubt, the young is signed in its forehead with the image of the cherry, which afterwards doth every year wax green, white, yellow, and at length looks red, according to the tenor of the trees: and it much more wonderfully expresses the same successive alteration of maturities in Spain than in Germany: and so hereby an action at a distance is not only confirmed, but also a conformity or agreement of the essences of the cherry tree, in its wooden and fleshly trunk; a consanguinity or near affinity of a being impressed upon the part by on instantaneous imagination, and by a successive course of the years of its kernel: surely the more learned ought not to impute those things unto evil spirits, which, through their own weakness, they are ignorant of; for these things do on all sides occur in nature, the which, through our slenderness, we are not able to unfold; for to refer whatsoever gifts of God are in nature (because our dull capacity does not comprehend the same rightly) to the devil, shews both ignorance and rashness, especially when, as all demonstration of causes from a former thing or cause is banished from us, and especially from Aristotle, who was ignorant of all nature, and deprived of the good gifts which descends from the Father of Lights; unto whom be all honour and glory.